One interesting factoid: If you overlay CD sales vs. VHS sales in the years 1999-2004, they follow a roughly parallel curve. 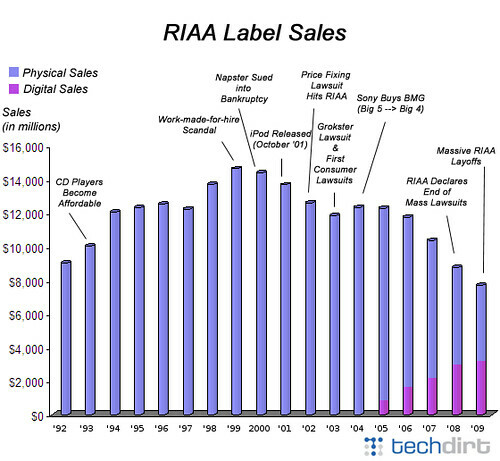 What this tells you: Part of the reason sales declined, is that CD's are becoming as obsolete as VHS tapes, and MP3's are like DVD's. Imagine if the MPAA had refused to release DVD's, but the rest of the world did release them. Could the loss of VHS sales be attributed to "piracy?"